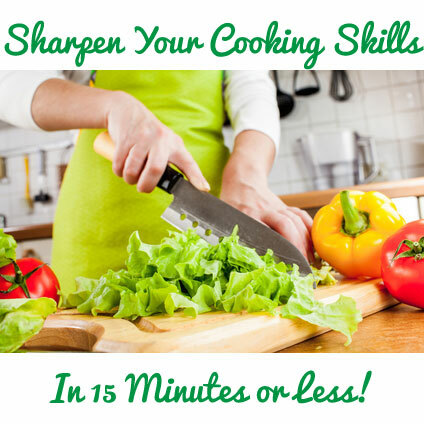 9 Videos To Help Sharpen Your Cooking Skills In 2 Minutes Or Less! Last month, I dedicated an entire episode of the show to easy meals and even designed one of the weekly meal plans around the same idea. This month, I wanted to continue the "easy" theme by sharing some quick cooking tutorials. All of these videos are 2 minutes or less, which means in less than 15 minutes you'll be armed with a whole new set of cooking skills!